I was lucky enough to be invited to an agent training at Disney’s Aulani Resort and Spa a few months ago. Not only was it a great learning experience, it was also a fantastic time to take my husband along and have a short Hawaiian vacation after training was completed. Disney’s Aulani Resort and Spa is located in Ko Olina which is about 17 miles northwest of Honolulu on the western shore Oahu. It’s a beautiful, residential and vacation community featuring beautiful beaches, a championship golf course along with shopping and dining venues. Aulani is truly a Hawaiian paradise with a touch of Disney magic. Disney Imagineers worked hand in hand with local artisans and cultural experts to create Aulani, A Disney Resort & Spa. Inspired by the natural wonders and rich traditions of Hawai‘i, Aulani is the ultimate family getaway. 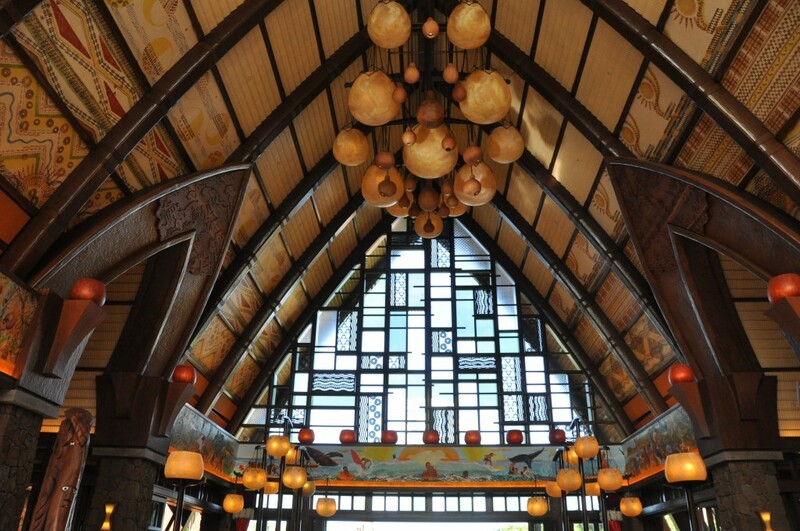 Home to more than 80 native pieces of Hawaiian contemporary art, Aulani is the largest collector of Hawaiian art. The Rainbow wall behind the front desk is made up of pictures from children on the island of Oahu. Throughout the resort you will find Menehune, the legendary shy, mischievious people of the Hawaiian Islands. Disney’s Aulani Resort and Spa has 339 hotel rooms, 709 villas, 5 restaurants, 2 lounges, 12 recreation facilities, a 23,000-square-foot spa which includes both indoor and outdoor space, 5 whirlpool spas, a 14,545-square-foot conference center, 36,695 square feet of outdoor venues, and a storytelling fire pit. There is a also a fitness center, kids club, restaurants and shopping locations. There is definitely no shortage of things to do at Aulani! It’s important to note that Disney’s Aulani Resort and Spa does NOT charge a daily resort fee, which is surprising considering everything that is included with your stay. Your Aulani vacation package includes the use of all the pools, lazy river, the play structure and splash area for little ones, nighttime storytelling, the community room, movie nights, the kids club and of course the beach. One thing that can be a lifesaver that’s included is the use of the Luana Lounge. If your flight times cause you to have a lot of time between checkout time and your flight, you have access to this lounge which includes showers, lockers, dressing rooms, computers and a television. That way, you can enjoy the pools or beach and still be able to shower and get ready for your flight home. We had a room with a king bed and a pullout queen sleeper. The room was a nice size. The bathroom was also a nice size. A family of four would have plenty of space. One cool feature is we found is the beds are designed with space underneath for two large suitcases which really helps save space, especially if you have four people in the room. The bathtub/shower combo is deep enough for a relaxing soak and has a regular shower head and also a rain shower head. The room comes with all the amenities you would find in a Disney deluxe resort in Walt Disney World including the little bottles of shampoo, condition and lotion so many people love. I may have brought several home myself to use when I’m missing Hawai’i! With a total of nine dining locations, there is no shortage of food options at Aulani. Everything from poolside bar and grills to fine dining is available. We enjoyed the poolside lounge Off the Hook and the quick-service location Ulu Cafe. We absolutely loved the character meal, Aunty’s Breakfast Celebration at the Makahiki. Unfortunately, we didn’t get to try ‘Ama ‘Ama, the signature dining location, but that is top of our list next trip. There is so much to see and do at Aulani that you could fill an entire week and never leave the resort. We spent most of our time relaxing in the adult-only Wailana Pool. We also enjoyed the Waikolohe Stream (lazy river) and of course the beach. We also really enjoyed Kamaka Grotto, the infinity-edge pool overlooking the beach. We saw a lot of kids enjoying the Menehune Bridge and Keiki Splash Zone. There was a Shake-A-Shaka pool party with some favorite Disney characters that was a lot of fun. There is definitely something for everyone to enjoy. In the middle of Waikolohe Valley sits Rainbow Reef, a saltwater lagoon that is home to thousands of tropical fish. If you have never snorkeled before or don’t want to snorkel in the ocean, Rainbow Reef is the perfect option. It’s also great for kids. There is an entrance fee that includes rental of the snorkeling equipment but it’s free to watch. Aunty’s Beach House is the kid’s club for kids ages 3-12. They have base programs that are included with your stay and also premium programs that you can purchase for your child to participate in. I was very surprised at the size of Aunty’s Beach House. The pictures online don’t do it justice. It’s actually pretty big and even has an outside play area. There are a lot of fun activities for kids. The Laniwai Spa is the first Disney-ran spa. There are almost 150 different spa therapies to choose from. Laniwai Spa also includes the only outdoor spa on the island, Kula Wai. Featuring private vitality pools, co-ed mineral baths, six different rain showers, whirlpool jet spas and more. The 5,000-square-foot garden retreat is available to Aulani Resort Guests ages 18 and up (and 14 and up, with an accompanying adult) for a fee, or is complimentary with any full-service spa treatment. Everything you need for the spa will be provided including heated robes and slippers. 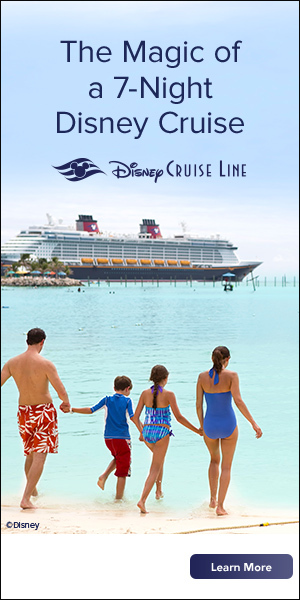 There are packages available for couples and the entire family. Aulani is also home to the only teen spa in Hawai’i, Painted Sky. This 1,500-square-foot retreat for Guests ages 13 to 17 has its own private entrance and features a lounge, computer stations, customizable perfume bar, DIY mixology bar, evening events and rejuvenating treatments designed specifically for teenagers. The Ka Wa’a Luau is an enchanting journey through Hawaiian history. You will discover its deep cultural roots in canoe (waʻa) exploration, which brought the first ancient explorers to the shores of Ko Olina. The festivities begin at 5pm with seating and pre-show activities. Then a full evening of song, dance and storytelling begin as you enjoy a Hawaiian feast. There are pre-show activities, including traditional arts such as kapa printing, flower arranging, temporary kakau tattoos and paʻi ai taro pounding. There is a luau introduction and oli (chant) welcome. The meal is buffet dining, including a carving station with suckling pig and prime rib, fresh local seafood, and authentic island fare, plus family-friendly offerings, kids’ selections and a decadent dessert bar. The performance is an enchanting production that brings the legends and lore of ancient Hawai’i to life. There are two packages to choose from. I highly recommend the VIP package. VIP Guests receive early check-in, priority up-front seating, complimentary beverages (both alcoholic and non-alcoholic) and an enhanced welcome lei. We had a fantastic view of the show from our seats. There are several excursions available to book through Aulani. There are also several tour companies you can book through. Some of the top destinations on Oahu include Pearl Harbor, Diamond Head and Kualoa Ranch. There is so much more I could say about Disney’s Aulani Resort and Spa. 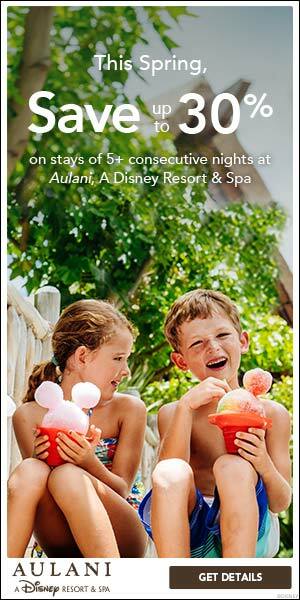 If you’re looking for a relaxing vacation but still want the legendary service Disney is known, then Aulani is for you. If you would like more information about Aulani, click here and one of our travel agents will contact you!